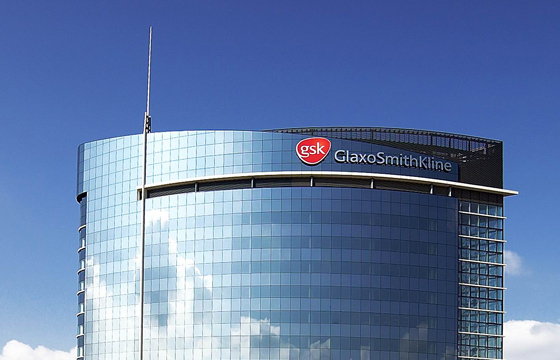 GlaxoSmithKline yesterday demonstrated a new boldness in its business development, signing a multi-billion dollar alliance with Germany’s Merck on next-generation immunotherapy. This is part of a root-and-branch renewal across the business, with a vision of a pharma-focused, oncology and immunology led company emerging. However the company will feel the squeeze as it transforms in 2019, and has now advised that its profits will be hit by the arrival of Advair generics in the US and its $5.1bn acquisition of cancer specialists Tesaro. The company now expects its adjusted earnings per share (EPS) to decline in the range of -5% to -9% at constant exchange rate (CER). This guidance also presumes that the planned divestment of its Consumer Healthcare nutrition division is completed by the end of 2019 and its major Consumer Healthcare joint venture with Pfizer closes during the second half of the year. Investors nevertheless responded positively to the news, the company’s shares rising slightly after the announcement. Its overall results showed group sales rising 5% at constant exchange rates to £30.8bn ($39.9bn) while its pharma revenues were flat at £17.3bn, vaccines up 14% to £5.9bn and consumer health contracting one percent to £7.7bn. GSK had been bracing for the approval of a Advair generic in the US for some time, and it came last week when the FDA approved Mylan’s version of the drug, called Wixela Inhub. Novartis’ Sandoz and Hikma/Vectura are set to follow, after delays to the entrants because of the complexity of creating a close copy of GSK’s inhaler. Evercore ISI analysts predict Mylan’s generic could make around $250m in sales this year, with the commercial opportunity limited thanks to GSK pre-emptive discounting. The delay to the generic launches has given GSK’s next generation respiratory products welcome breathing space, which have all posted respectable growth in Q4. However the tough US market took a bite out of Breo Ellipta, which saw sales decline (3% AER, 1% CER) because of pricing pressure, despite strong volume growth. Despite some good signals from its respiratory portfolio, its clear that GSK is pivoting away from the field, towards bigger growth sectors such as immunotherapy and oncology. Chief executive Emma Walmsley continues to highlight the firm’s R&D rebuilding, led by new research leader Hal Barron, with 33 of its 46 new medicines now in development targeting modulation of the immune system. Key milestones expected this year include FDA approval for its HIV combination dolutegravir + lamivudine in the first half of the year, as well as the filing for its long-acting HIV injectable cabotegravir + rilpivirine. “We are making good progress against our priority to rebuild our pharmaceuticals pipeline, particularly in oncology," Walmsley commented. “Since July, we have doubled the number of oncology assets in clinical development to 16 through the advancement of our internal programmes and with targeted business development including the recently completed acquisition of Tesaro and our new alliance with Merck KGaA that is expected to close in Q1 2019." There will also be crucial readouts for three cancer medicines, all of which the company believes can be launched in the next two years. These are its BCMA targeting candidate in fourth-line multiple myeloma, and Tesaro’s Zejula for first line maintenance ovarian cancer and PD-1 dostarlimab for endometrial cancer.